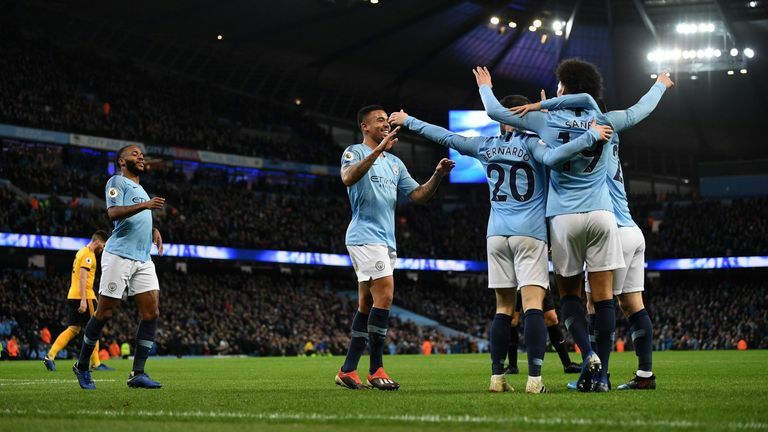 Bernardo Silva says Manchester City's squad are coming back together at the right time as they chase glory in four competitions. "It feels like we have all the squad, which is important because we need all of them," said Bernardo Silva. "It is good finally to be back together. "Of course until this moment of the season we have had so many injured players, we never played with the whole squad. "To have almost the whole squad available is fantastic for us and it is very good to try and go for all the competitions." Bernardo Silva, 24, has no issue with the fact that means increased competition for his own place. "That is what happens when you play in one of the best teams in the world," he said. "You have fantastic players in your position, you have to work hard to try and play as many minutes as you can. Their involvement in all those competitions could ultimately amount to playing a considerable number of games more than Liverpool, but Bernardo Silva is confident that would not hamper their title defence. Bernardo Silva returned to face Wolves after being rested for the cup games against Rotherham and Burton in light of his tireless performance against Liverpool, with statistics showing he ran an impressive 13.7km during that game. He added: "I could feel it was a very intense game from the first minute to the last and we played against a team that also wanted to score goals.